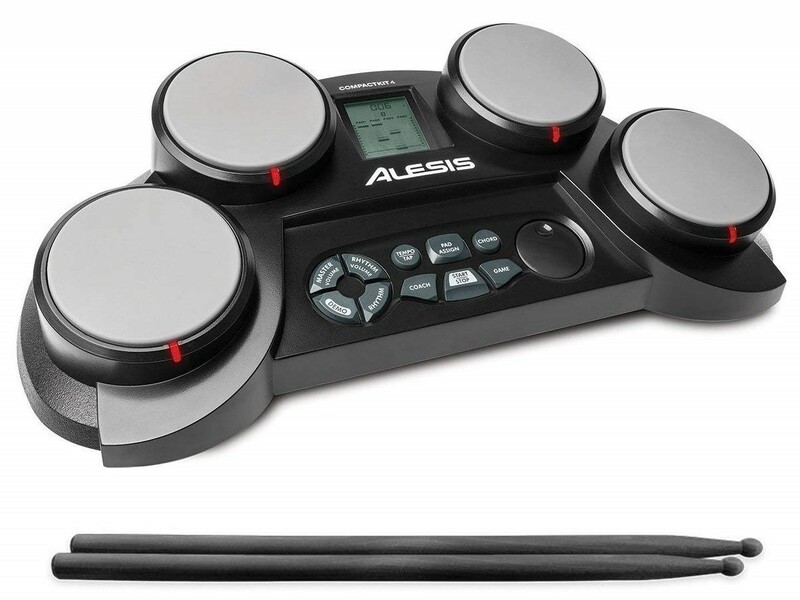 The Alesis CompactKit 4 is a tabletop electronic drumset that's a great first kit for anyone learning the basics of drumming — you even get a pair of drumsticks! Four pads deliver 80 percussion and effect sounds with realistic feel and response. 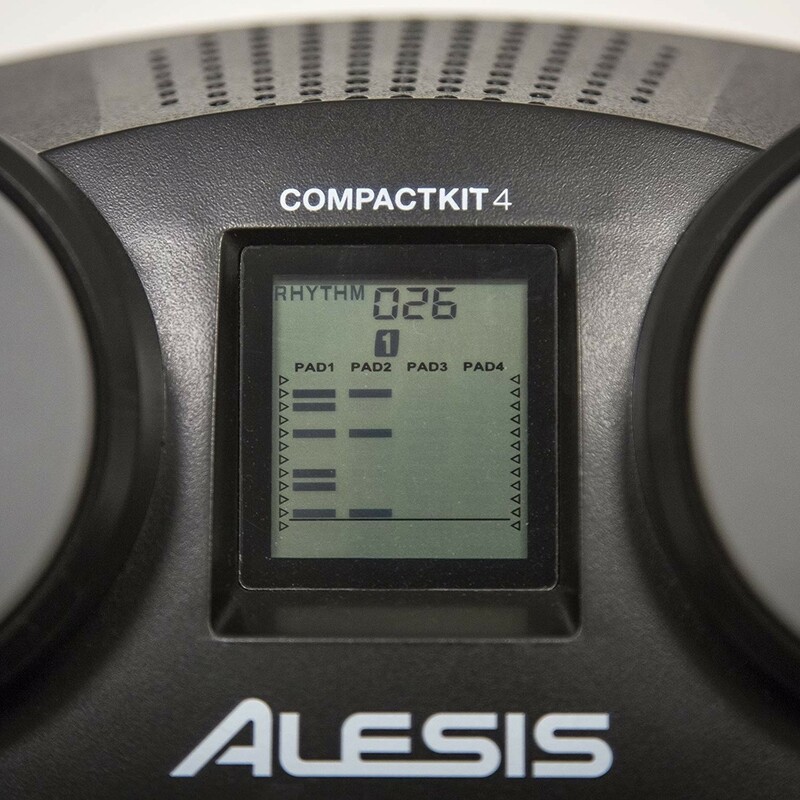 To make sure you get the most out of them, the CompactKit 4 includes interactive game- and coach-modes that teach basic drum patterns and styles. 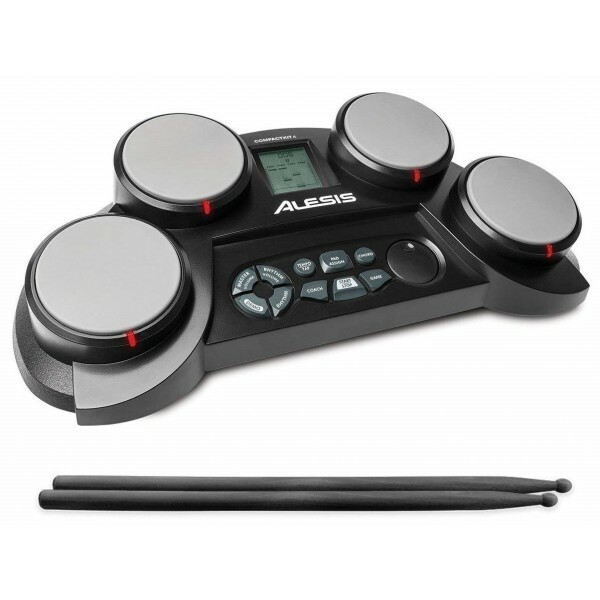 Even if you've never picked up a stick before, the visual feedback on the LCD screen makes it possible to train and get the fundamentals, so you can play along with the music of dozens of included songs. CompactKit 4's lightweight, flat design makes it easy to set up around the house to play and then put out of the way when it's not being used, and since it can use AC or battery power, you can also take it on the go! The built-in speakers and headphone output jack mean you can quickly switch between public performance and private practice — whatever fits the circumstances best. It all adds up to make CompactKit 4 the perfect portable electronic drum kit for an aspiring rock star drummer, no matter their age.